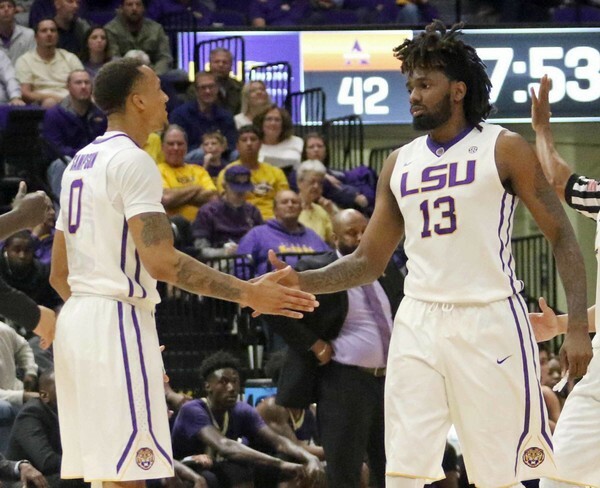 Johnny Jones picks up his second LSU grad transfer this month. Texas Southern is quickly becoming the graduate school of choice for LSU basketball players. Coach Johnny Jones has reportedly picked up another former LSU player since landing the Texas Southern job. Jeremy Combs will enroll with the Tigers as a grad transfer and be immediately eligible to play according to published reports. LSU grad transfer Jeremy Combs has committed to Texas Southern, per a source. Immediately eligible. Combs transferred to LSU from North Texas the summer after Jones was fired in Baton Rouge. The 6-foot-7, 215 pound Combs only played six games at LSU due to an ankle injury that ended his season. He was granted a medical redshirt for the 2017-18 season. Combs was bothered by the ankle injury while at North Texas as well. His best collegiate season to date was the 2015-16 season, when he was an All-Conference USA selection, averaging 14.9 points and 10.5 rebounds per game. Earlier this month Jayln Patterson decided to play his final year at Texas Southern as a graduate transfer. Johnny Jones staff at @TXSOTigers includes Randy Peele from Tennessee State, Kenneth Mangrum from University of Texas-Arlington and Shyrone Chatman will be retained from previous staff. Jones’ staff at Texas Southern is coming together as well. Randy Peele from Tennessee State and Kenneth Mangrum from UT Arlington are on the staff. Shyrone Chatman will be a Mike Davis holdover according to Fox 26 in Houston.